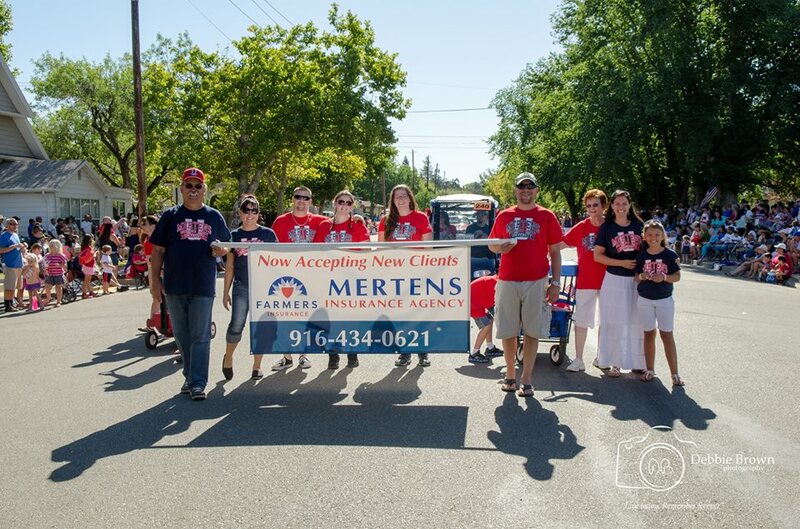 Here at Mertens Insurance we love to help our community. We look forward to reaching out and providing a helping hand. Every year we try to find ways to give back, make a difference and engage in our community. Recently we participated in the Independence Day Parade here in Lincoln, CA. The Independence Parade drew the biggest crowd ever! The streets were lined up to 10 people deep in some areas, all the way though the parade route. There were a variety of entries showing their Red, White and Blue spirit! Children lined the streets with excitement waiting to see the floats, car’s and animals. The children grew even more excited every time they seen someone coming down the street that was passing out flags, necklaces or throwing candy their way. Oh, the memories they will have to look back on when they are older. Lincoln is a great place to live and we pride ourselves in being a home based business. Community and family are very important and we love that you are apart of our family!! A shout out to Debbie Brown Photography for the wonderful picture!! She is a gem in Lincoln and you can find her information at http://www.debbiebrownphoto.com/.